This is a small, gentle story that quietly tackles the important issue of faith and sexuality. 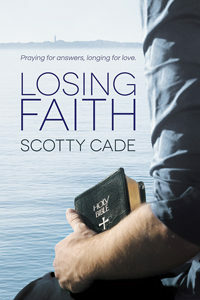 When a Southern Baptist preacher meets a retired Episcopalian minister, both doubt their faith. Cullen is grieving his partner and Abel is swamped by self-doubt. I enjoyed the relationship between the two men and I enjoyed watching them wrestle with faith, doubt and religion. The romance was very sweet but perhaps a little quick for a closeted Southern Baptist pastor. Personally, growing up in the Bible Belt made me a firm Atheist, so while I understood Abel’s feelings of rejection and self-doubt, his openness to Cullen’s version of Christianity seemed almost too quick and too easy. I don’t think that the author needed to make such obvious villains in this story as they didn’t quite ring true and Abel and Cullen’s personal struggles are complicated enough to carry the story on their own. The very obvious evil took away from the complexity of Abel’s struggle and reduced the impact of the story for me. Overall, I really enjoyed the characters and themes in this story.